This is a guest post from Pei Fang who also goes by the nick pf1123 in the comments section. This time, Pei Fang reviews the Istrilene Collagen Enriched Facial Treatment Cream. I would like to share my experience with the Collagen Enriched Facial Treatment Cream from Istrilene. I had a bad bout of acne when I was about 20. There were huge red bumps all over my face and I had to put on A LOT of concealer before I managed to look natural. I tried a lot of products to cure my acne, but they didnâ€™t work. Finally, I decided to visit a beauty salon to see if they can help me. Besides recommending me a facial package, I was introduced to Istrilene products. I bought a facial gel cleanser, a toner and this Collagen Enriched cream. Upon trying for the first time, I was very happy at how nice the fragrance was and how soft my skin was after using the products. After a few months, my face was cleared. But not without heartache because the products were (and still are!) really expensive! What truly amazed me was how the product changed my skin when I first used it. Before I even finished the 50ml jars of cream, my skin was changed from oil oozing to normal. Really normal. Itâ€™s not dry or oily at all. When I touch my face at mid-day, my finger was not slick with oil. I do not have shine on my T-zone at all. For about 2 years, I did not have any breakouts at all. Best skin of my life! After maybe a jar or 2 of the cream, the beautician said that I should change the cream. I was introduced a more expensive one (I supposed they have to make moneyâ€¦*sigh*)! My face was alright but slowly I had more breakouts. 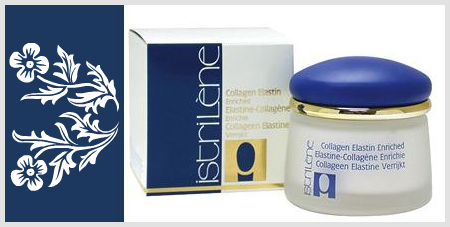 I went back to using the Istrilene Collagen Enriched Cream for a while, going through another 2 jars or so. But the effect was not as tremendous as before*. I was expecting that it could change my skin like the previous time. It could be I was complacent and too lazy to keep up with my skincare routine. Sometimes I even wash my face with just water and didnâ€™t put on any skincare. Now I know better than to do that. *The beautician later told me that itâ€™s normal that the skin got used to the product and it would seem that they are no longer as effective as before. As the Istrilene products were so expensive, I began to cut back and use the facial gel cleanser and toner only. After finishing them, I started to experiment with various different types of skincare. Together with my adventurous trials in skincare and over-active hormones, my face broke out like crazy! Finally, after trying various methods and more products to be rid of my acne, I remembered how Istrilene Collagen Enriched cream helped me when I had a terrible breakout many years ago. I went to grab the Istrilene Collagen Enriched cream again. The beautician told me that this is actually a cream to keep skin firm and prevent aging. However, using that really calmed my skin down and provided my skin with the necessary hydration without being too rich for my skin. But come to think of it, I was told by numerous people that I donâ€™t look my age. They thought Iâ€™m in my early 20s when in fact Iâ€™m in my late 20s already. An SA did not believe me and wondered by I do not have any wrinkles when I told her my actual age. So, I guess this product really works to keep skin firm and prevent aging when used over a period of time! Hahaâ€¦I know, the title sounds so geeky. This product comes in 50ml jars. Well, this cream is a very light but powerful cream. The texture is like whipped cream. I say this because it is firm in the jar; unlike other creams which move about easilyÂ if they are watery. It is just not as fluffy as whipped cream squeezed from a can like on a sundae.Â It is also non-oily or greasy. The colour is white and it definitely has fragrance. I think this will suit oily skin better due to its light nature and my experience with it. It does not state whether it is a night or day cream if I remember correctly. My beautician said itâ€™s a night cream but I previously used it day and night with no problems. Aqua, Glyceryl Stearate SE, Paraffinum Liquidum, Glycerin, Butyrospermum Parkii, Isopropyl Myristate, Cetyl Palmitate, Hydrolzed Elastin, Soluble Collagen, Sodium Benzoate, Phenoxyethanol, Imidazolidinyl Urea, Methlparaben, Ethylparaben, Propylparaben, Butylparaben, Isobutylparaben, Parfun, Benzyl Salicylate, Butlphenl Methylpropional, Hydroxyisohexyl 3-Cylohexene Carboxaidehyde, Hexyl Cinnamal, Alpha-Isomethyl Ionone, Hydroxycitronellal, Coumarin, Limonene, Benzyl Benzoate, Geraniol, Cinnamyl Alcohol, Evernia Prunastri, Eugenol, Citronellol. Obviously, this product would not be suitable for the people who hate long lists of chemicals in their skincare. Istrilene products are sold in bigger Guardian Pharmacy outlets. I heard from Sesame that she saw it inÂ Watsons at Takashimaya as well. It costs a whooping $S129 to S$130+ depending where you get it from. But there are often 20% discounts for this. I would either get it from Guardian or my beauty salon. However, I do not recommend getting it from beauty salon as they push sales rather hard. And donâ€™t believe the SAs at Guardian that 20% discount is huge enough to stock up for. There are several periods which they give discounts a year. Each tub last me at least 8 months as I use sparingly**. ** My beautician told me that I shouldnâ€™t put on too much product because the extra would either just go to waste as the skin can only take in so much at any one time or I would get clogged pores. Give the product ample time for it to work. Some products are just worth that kind of money. Start age prevention on your skin while youâ€™re young! Well, what a lengthy review! I decided to do this when Sesame approached me because I canâ€™t find much reviews on Istrilene products. So, I hope that this review can help some girls out there. And if the company of Istrilene sees this, I wouldnâ€™t mind having some discounts on the products! Previous Post: « What helped clear my cheek acne? Wow! interesting. I have acne break out too. Think of trying this product. I have a q. Can I use this product with other skin care? Will it reduce the effectiveness of the cream? My current routine is, morning I apply Organics “C for you” serum, grapeseed oil(based on Sesame’s recommendation, sunblock then BB cream. If I use this cream, should I take away the grapeseed oil? I don’t use moisturiser at all because the grapeseed oil is enough for me. At night, after cleansing I use pore tightening serum, then grapeseed oil. That’s it. Where should I fit the cream into? Yes, i remembered using Istrilene back in the schooling days and I was recommended their products to combat acne. Their acne range products really deserve a try because you can see the effect but as a student i stop buying them because no doubt as what Pei Fang mention, were costly! I suppose from your description you want to use it in the day? When I was still a reckless youth, I just slap on that cream without anything on it. No adverse effects from the above combination. I’m trying to take a photo of my eyes as they say that its a good guage for someone’s age. Your website is very pretty! Have you thought about using facial products only with all natural ingredients? I don’t like putting chemicals on or in my body. I’m not sure if it will help with large pores and blackheads. I don’t think so. My pores were larger than they were a few years ago. I have no blackheads to begin with. So, I can’t tell you about that. Oh, and I’m not sure if you can get it in M’sia. I have never thought to look anywhere else besides Guardian and my beauty salon in Singapore. Btw, I think I should make a disclaimer. I do not have sensitive skin at all. Just oily-dry combi and acne-prone skin. So, I can’t be sure that it will act as well on others as it has on me. With so much ingredients in it, I’m not sure if girls with sensitive skin are able to take it well. Please check the ingredients carefully and take all precautions before splurging on this expensive product. hey….I didn’t make that last comment! Here’s the background of Istrilene product from my The Spa-lon. There is very limited info on the internet for this range of products. Europe Cosmetics N.V, the manufacturer of Istrilene series of products, was established in Brussels, Belgium. The founder of the company, Princess Ikaliana, who came from a royal family, provided her products mostly to the other royal families in Belgium or her neighbouring country, Holland. However in 1967, the products started to cater for the general consumer, during the early marketing period, Europe Cosmetics N.V was oriented towards providing good services, good quality and technology to inculcate a group of logical consumer, developing a unique and excellent series of product in Europe’s cosmetics industry. In 1976, technical research collaborations between Europe Cosmetics N.V, the Faculty of Medicine from the University of France and the Faculty of Biology from the University of Belgium focused on topics such as developing functional cosmetics products, skin reactions towards various herbal compounds and absorption of such components. They have won over 70 patents from the effort. In addition to that, they also recieved recognition from the Public Health Board of Belgium and are allowed to produce cosmetic products with 130 types of herbal compounds legally. In 1978, Europe cosmetics N.V recieved GMP certification from OEBI of European Economic Coummunity ( now know as European Union ) for the drugs industry. Hence, with the certification, the organisation obtained its retail permit for European pharmacies, subsequently becoming the first cosmetic brand which marched into pharmacies. In 1999, Europe Coesmetics N.V passed through the more stringent and revised GMP certification, in which the quality and technology of their products were once again being recognized by omnipotent organisations. The general consumers always welcome Istrilene products such as Whitening Cleanser, CSP Energie-Revit Cream, Slimming Gel. Since the beginning, the Istrilene market has developed from Belgium and Holland to Germany, Europe such as Switzerland, United States of America, Canada, Middle Eastern countries, as well as the Asia Pacific region. It has become a well-known international brand in the cosmetics industry. I’ve use Istrilene products myself.I bought the basic products at first.The cleanser and the night cream.Results guaranteed!!!! I bought the facial scrub as well. Its cost alot but its worth it you need to use it once a week only. Good investment. I bought the toner recently i feel in love with this product! Ladies rmbr money is nothing compared to the joy of waking up to a good skin! NiNa: Great to learn that you are having success with this brand. Looks like a good series of products! I had skin problems since i was a teen it never go away. A year age my skin got from bad to worse I almost lose hope when I went to Eastpoint(Simei) when the Istrilene promoter came up to me asking abt my skin problems.I was hesitant at first.Like pf1123 said its ex. But the lady was really patient wif me she say i could give her a call if i encounter any more problem,the thing is I have no complaints at ALL! In fact now I keep looking for her for more better and results guaranteed products! She so professional. 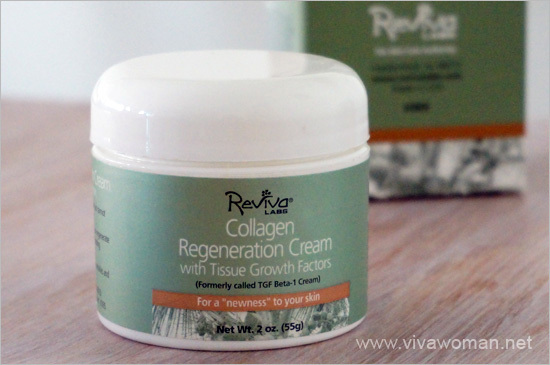 I was wondering if the collagen in the cream came from animal or aborted babies. I would not like to think that i was wiping an aborted baby all over my face. Oh dear…I doubt the source is that dubious. Oh my, parafinum liquidum aka mineral oil is high on the list of ingredients, which is a very pore congesting ingredient! It’s amazing how one with breakouts finds this product beneficial to counter breakouts!! 🙂 My skin would breakout the minute it comes upon contact with mineral oil. Yours would break out immediately with mineral oil? I guess it all depends. The reviewer, Pei Fang reported great results using this even though her skin is acne-proned. But perhaps her pores are not that easily congested and her acne is due to other reasons. I know my skin would not break out with mineral oil but I would avoid products with this ingredient. Oh btw, I forgot to add that according to a list I’ve come across, mineral oil is considered as non-comedogenic. I’m not exactly sure why but my explanation is because it sits on top of our skin without penetrating through. 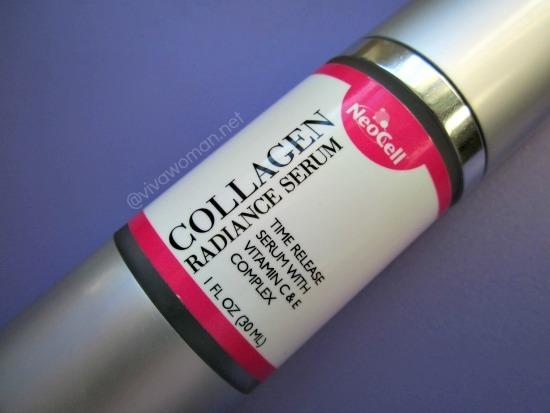 I have been using Collagen Enriched for years, each time after trying out and getting breakouts from other products! The reason being Istrilene Collagen Enriched is so very expensive, but each time it save my life (my face actually)!